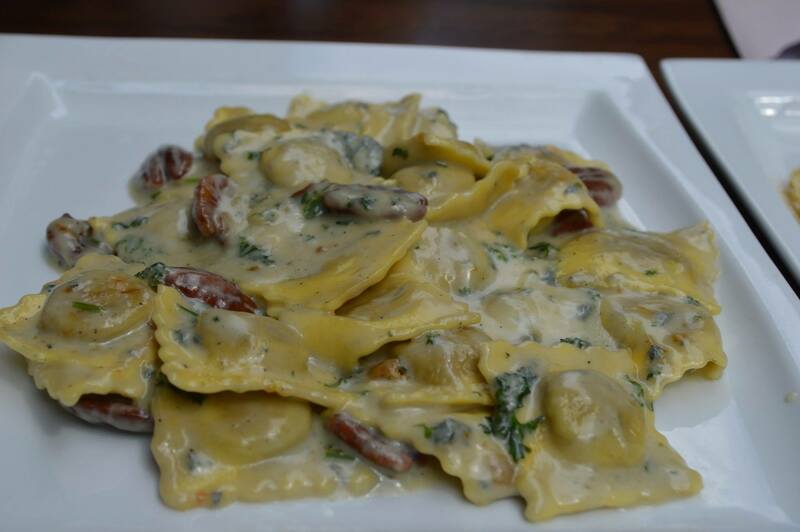 One of our first meals in Amsterdam was this amazing mushroom ravioli in a Gorgonzola and walnut cream sauce at a cute little restaurant in Leidseplein. I am not usually a big fan of cream based sauces but somehow the gorgonzola worked just perfectly with the mushroom. In fact, so perfectly that I came home and attempted to re-create the dish -a little healthier this time- using milk instead of heavy cream to give it the creamy texture (Stay tuned for the recipe!). The charming city of Amsterdam has made itself a special place in my heart. The narrow cobblestone streets, the cute cafés, and of course the hospitable people. What I quickly discovered was how incredibly diverse the food culture is. Anyone that knows me, knows that when I visit new cities, I come prepared with a list of restaurants and foods to try (Thank you Yelp reviews!). Unfortunately due to time constraints, my Amsterdam list remains untouched. But thankfully, My best friend, fellow foodie, and Amsterdam local, Divya, was the perfect host and knew exactly what would tickle our taste buds. She took us to a restaurant in Chinatown called ‘New King’ that served some of the best Chinese food I have ever tasted. If you are ever in Amsterdam and craving some Chinese food, I highly recommend it!